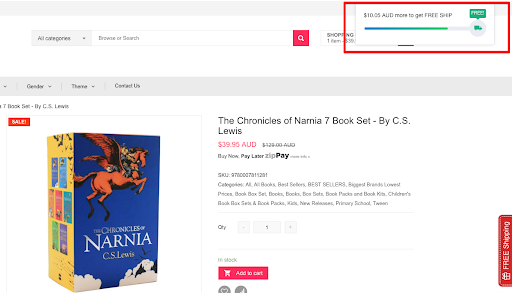 Average order value (AOV) is one of the most important metrics for your ecommerce store. Increase AoV and you’re increasing overall revenue WITHOUT having to spend money attracting new customers. For example, if you had 100 sales and your total revenue is $3000, the AOV would be $30. If you can raise that AoV by even $5 to $35, those 100 sales are going to bring you an extra $500 in revenue. The biggest benefit of increasing AOV is obvious: it lifts your revenue and profit margins. Moreover, if you do it right: getting your customers to buy more from you without being overly salesy helps win customer loyalty and repeat purchases. Let’s dive in and find the best tactics that influence customer behavior and increase the AOV of your online store. David Bell – Marketing professor at the Wharton School of the University of Pennsylvania. If a customer’s cart is close to the free shipping threshold, they’re more likely to add other items to their cart to get the incentive. This not only helps to increase conversion rate and average order value, but reduces the number of abandoned carts significantly. But remember, free shipping costs should not drag down your profits. You have to calculate your AOV and average shipping cost. The threshold for free shipping should be 10 – 15 % (whichever amount covers your average shipping cost) + AOV. You’ll need to test this as adding too much could negatively affect overall conversions. 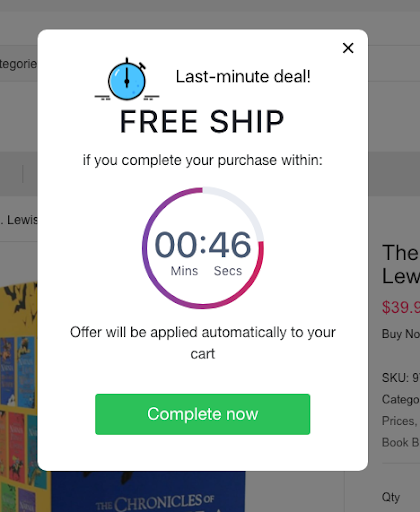 On their product page, whenever a customer adds something to cart, a progress bar is triggered to let him/her know how close they are to the reward. And finally, a countdown timer nudging the customers to complete their order once their cart value reaches the threshold. The well-executed offer achieved an impressive conversion rate of 16.35%. Awesome, right? Free shipping, when done right, will yield tremendous results. You just have to ensure that you’re not offering a deal that’s going to eat into your profits. Buy more for less. That’s what you’re offering your customers here. Timely and relevant product recommendations can guide your customers to find the perfect product, or even a product they didn’t know they want. It’s a genius tactic that lifts your revenue and builds strong customer relationships by offering a more personalized, human touch. 86% of consumers are willing to be upsold! Yes, they are willing to spend more as long as the upselling brings more value to them. The hospitality industry is home to many masters of the upsell. They leverage this tactic to not only increase guest spending but also to improve guest satisfaction and loyalty. There’s no need to be salesy when you implement an upsell offer. As long as you push your upsells properly, the products are common-sense purchases. 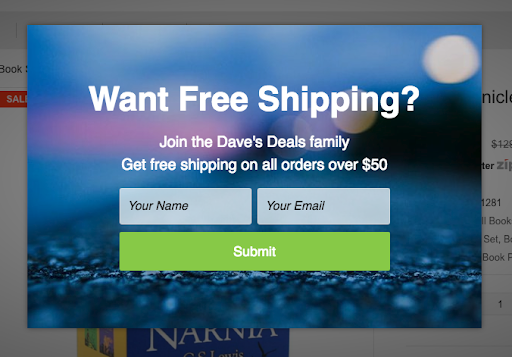 Below is a great example of how to upsell on your online store. In the above, the store is offering a far better product for a minimal increase in price. Not only that, they’re also highlighting how much it is reduced from the original price. McDonald’s is, surprisingly, a master of both the cross and up-sell. Every time you;ve been asked if you want a large, you’re being offered an up-sell. But every single meal they offer is a cross-sell. 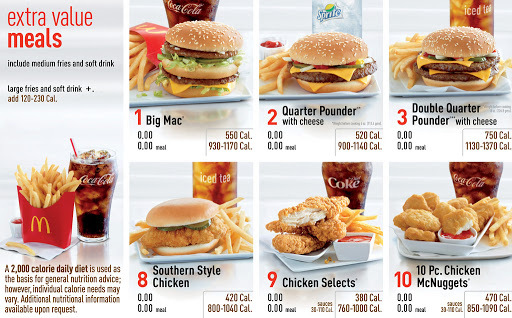 Buying a burger, fries, and drink individually costs more than they do as a bundle. McDonald’s bundle them together as it offers more value to the customer and makes the brand more money. These meal deals are so popular that since late 2015, McDonald’s, along with other big names in the fast food industry, have sold more than 100 million extra combo meals. Customers appreciate the deal of extra food with a cheaper price, whereas Mc Donalds also significantly gains more revenue at the same time. A win-win strategy for both: bundling benefits both sellers and buyers. Customers achieve more value because they get the great combination of different products at a cheaper price. The businesses can sell additional items which means an increased average order value. 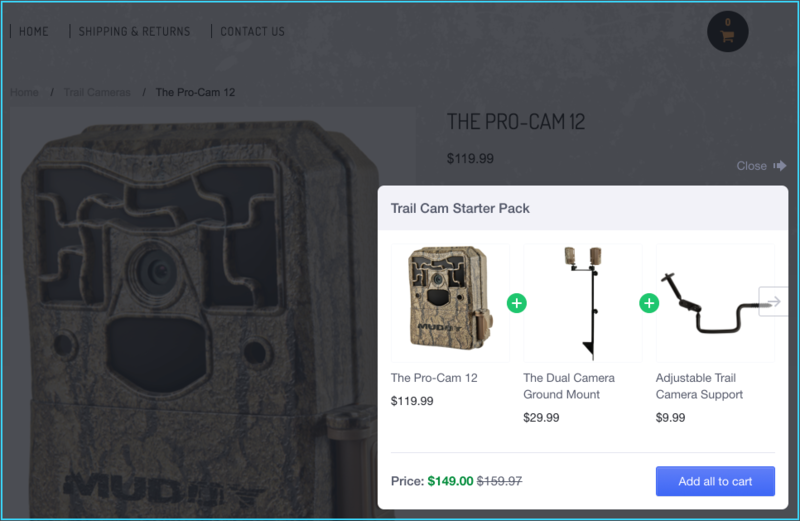 Muddy Outdoors run multiples cross-sell deals that cover most popular items on their online store. Within 3 months, 200 orders worth $46,700 have been made from these cross-sell orders alone. 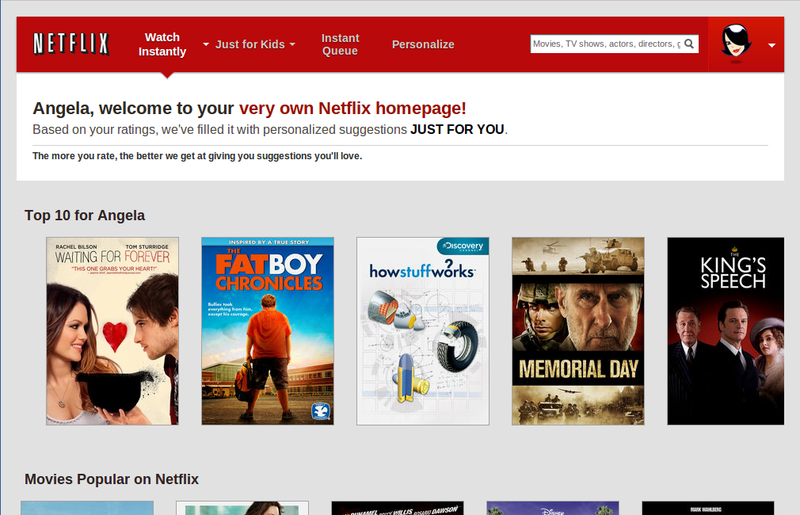 A great example of personalization is Netflix: about 75% of what people watch on Netflix is attributed to recommendations. People don’t want generic offers, they want specific options that appeal to them. Today, thanks to advancements in technology, there’s an abundance of tools which can generate highly sophisticated recommendations based on the sales history of your online store and customer preference. It’s a great way to do show customers items they will like, but are unlikely to discover by themselves. 86% of consumers indicate that their purchasing decisions are influenced significantly by personalization. They will be enjoyable to shop on a site with personalized experience. For the store owners, it triggers sales, boosts up average order value and enhances customer loyalty. 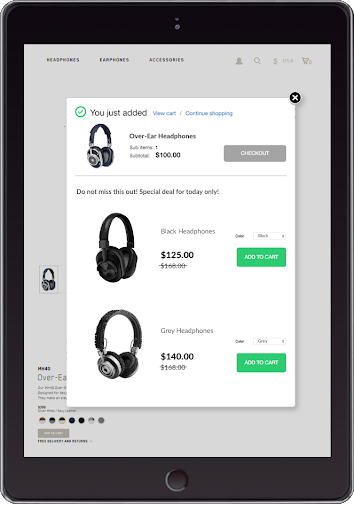 They’re incredibly effective at increasing average order value and they keep customers coming back to your online store. You reward your customers for ‘no reason at all’ and make them feel appreciated which builds loyalty. The most popular form of loyalty programs is a points system – customers get points for their purchases. The number of points is dependent on the amount spent and the user can then exchange their points for discounts or free gift. 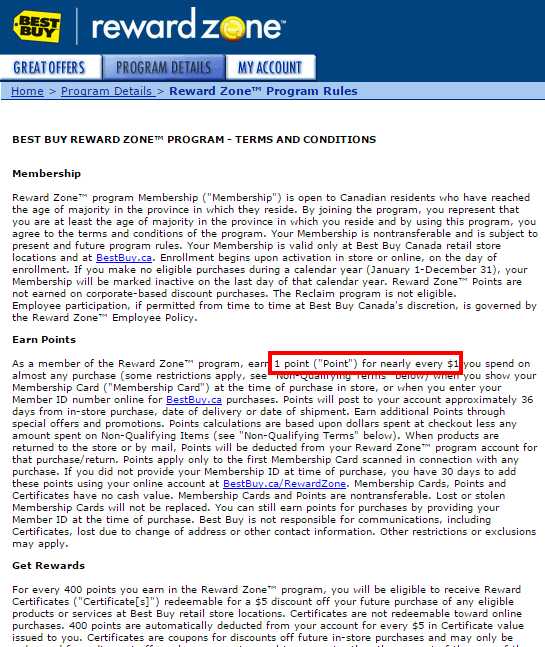 As shown in the Best Buy Canada example below, for each dollar spent, their customers are offered 1 reward point, 250 points can be exchanged for a $5 gift card. When they reach 2500 points, they will be raised to “Reward Zone Premier” that provides greater benefits such as discounts on total order or discounts on shipping and delivery. It might be hard to get your loyalty program up and running but it’s worth it. Done properly, it keeps you ahead of the pack, helps you generate more revenue and increases brand loyalty. Answering customer questions instantly can help you build trust and provides opportunities to ‘upsell’. 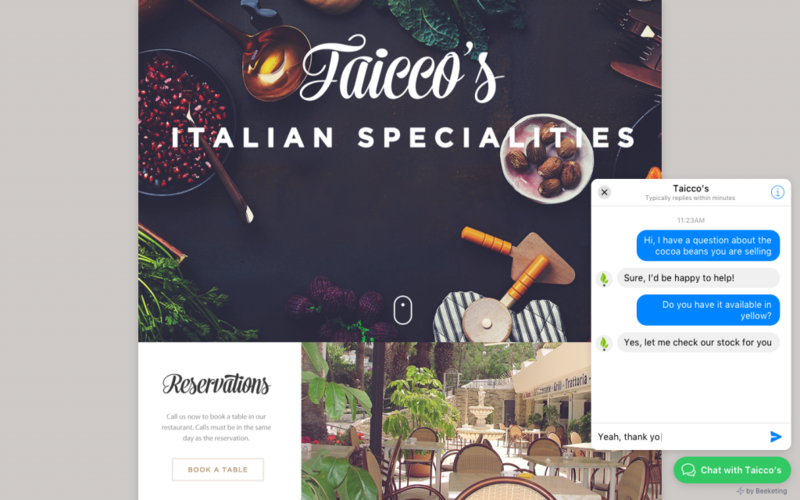 It creates a frictionless experience for your customers and lifts your conversion rate & revenue at the same time. Because of the immediacy live chat offers, 79% of customers say they prefer live chat over other channels like email or telephone. The same study showed that live chat helps to increase revenue by 48% per chat hour and increase conversion rate by 40%. By embracing live chat, businesses can massively increase sales and revenue. The essential factor ensuring live chat success is having representatives fully trained about the products and store navigation. So that they can give the best support and advice to customers and prospects, and turn the conversations into conversions. No matter what you do in order to sell more to a customer, give them the reason they should buy more. Does it improve your customer experience? Does it create any additional benefits for them? Put yourself in your customer’s shoes, offer what they really want and need, take these as considerations before making any decision, you’ll not only make them buy more, you’ll make them happy buyers who’ll return time and time again! 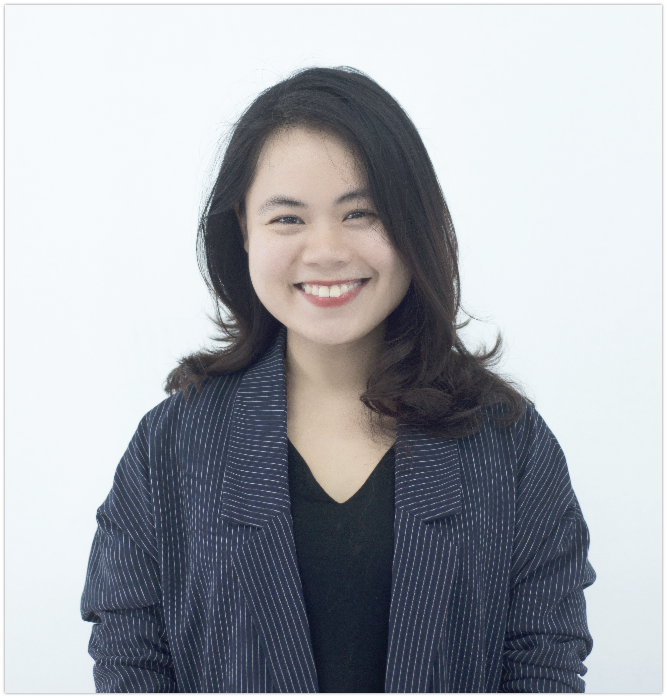 Lori Dinh is an Account Manager at Beeketing - One of the Shopify’s Top App Partners. She specializes in growing app user base and boosting app reviews.